It was hard to start this post because I was left speechless. The love for my country, and for my fellow Filipinos up in the mountains was stirred. 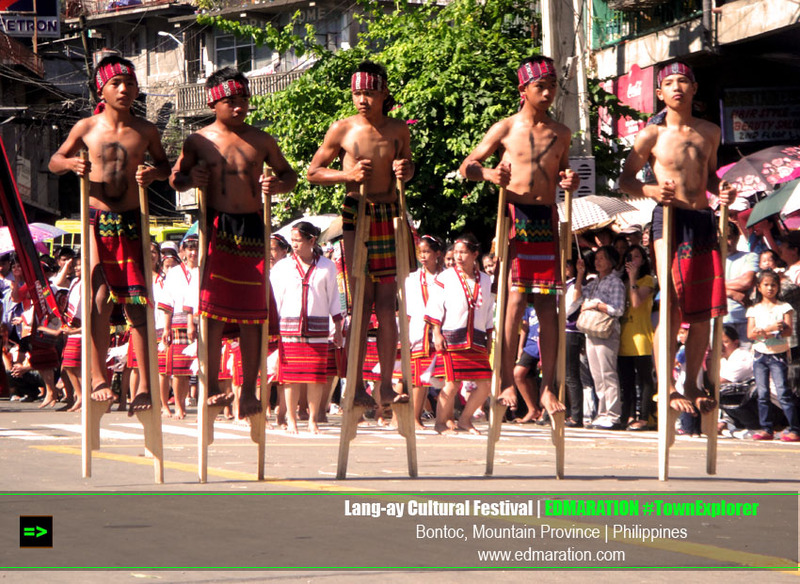 The Igorot people, known for their headhunting culture are often mistreated these modern days. [Some] people from the lowlands see them as inferior people, with tails and black-magic chants. I would say, those people who tell those myths are the most ignorant of their kind. From Homjong Matcha People of erstwhile Tirap district have no ethnic names. Though communities described or knew themselves as Nocte, Tangsa and Wancho in the past, the Constitution of India had shoved them into an unsorted miscellaneous can, called ‘Any Naga Tribe’. Therefore, people want to be identified by a specific ethnical name, not as ‘Any Naga’. But it is still dangling around their neck, like a locket, even after 65 years of the Indian republic. Isn’t it denial of right to ethnic identity? Glimpse into history As early as 1958, elder guardians of this district of NEFA wrote a letter with presents to the first prime minister of independent India, Jawaharlal Nehru, introducing their ethnic identities as Nocte, Tangsa, Wancho and Singpho, to which he responded scribbling in his own hand, dated 18.11.1958, which is still alive, welcoming any reader. It reads: ‘To Nocte, Tangsa, Wanchoo and Singpho. My dear children, thank you for your letter and the beautiful presents you have sent me. I like them very much. My love to you all.’ This surely was the first attempt from elders of the tribes for official recognition of their ethnic identity. But they had no idea and means to pursue it further. It got buried deep under passage of time. There was no one in New Delhi to stir it up to fruition. Question arises as to when and how the term ‘Naga’ or ‘Any Naga’ came into existence in regards to people of the then Tirap district. Gazetteer of India, Arunachal Pradesh, Tirap district reveals that the Ahom who came from upper Burma through Pangsau Pass in the thirteenth century and ruled in Assam from 1228 AD and came into contact with these tribal people, was first to call ‘Eastern Naga’ or ‘Noga’. Before that, probably no contemporary outside world knew about these tribes. It appears, British inherited the term straight away from Ahom when Assam came under British rule, and then passed it further on to Independent India. But, no author’s writing on origin and history of Naga has come to the knowledge, as yet. Challenges to nomenclature If the Ahoms coined the term ‘Naga’, what did it stand for, in Ahom or Tai language? Why was it termed so? Wherefrom the word ‘Naga’ derived? Why should a race or tribe accept the name given by foreigner? These are the questions, answers of which are yet to find. The last one question is probably, the ideology many others had already posed, and challenged too. Take the example of Indian cities that have been changed to local names; such as: Calcutta to Kolkata, Bombay to Mumbai, Gauhati to Guwahati, etc. Even country’s name had been changed to suit local term and meaning. The nationality of Burma was called ‘Man’ which Burmese perhaps, pronounce as ‘Myan’. Therefore, the country was rechristened as ‘Myanmar’. Every term has its origin and meaning. So, people of undivided Tirap too, have for their ethnic tribes; such as Noc = village, te = people; so Nocte means ‘village people’. Similarly, Tang = hill, sa = children. So Tangsa means ‘children of hills’. On other hand, ‘Any Naga’ suggests nameless, unexplored, insignificant human species that might still be dwelling in the forest of Nagaland hills. Does it not imply derogatory and disgracing meaning? The aforementioned gazetteer describes, “the term ‘Naga’ is a generic name applies to large number of tribes and sub-tribes living in the then Tirap district and Nagaland.” But there’s no mention about origin and evolution of the term ‘Naga’. For reason of obscurity of its origin, today people take the term ‘Naga’ for ‘naked’. Information gleaned from Wikipedia throws light that Naga people were snake-worshippers of Sri Lankan Hindus who migrated to Pandya kingdom in third century BCE, and assimilated to Tamil culture, and lost their separate identity. This makes a sense and meaning to the term ‘Naga’. Further, H Parker, a British historian and author of ‘Ancient Ceylon’ considered the Naga tribe to be an offshoot of the Nayars of Kerela. These Nagas are, other than Naga tribes of present Nagaland, and come under category of ‘Any Nagas’. So, does it mean Noctes, Tangsas and Wanchos are descendents of Sri Lankan or Kerelian Nagas? Dr Horam, a Naga scholar wrote: “Some people believe the present group of Nagas came from Philippines where there is place called ‘Naga’.” But, this appears to be an assumption, not backed by definite historical references. Delving into the bottom The gazetteer of India, Arunachal Pradesh, Tirap district which is considered to be authentic official record, provides at chapter 11 as follows: “… placed between the plains of the Brahmaputra on the west and the valley of the Irrawaddy on the east, this area witnessed movement of people from across the Patkai ranges from time immemorial. Hordes of migratory tribes of the Mongoloids called Kirata in the ancient Indian scriptures, were drifted to Assam through this district (then Tirap). It was in Assam and its neighbouring regions that these tribes were absorbed.” We have not come across any historic record and reference that Mongoloid kiratas had further migrated out from this region to elsewhere directions, or had any other tribe came to replace them. There’s no mention of the term ‘Naga’ either, during those period of history of great migration. Whereas Hindu scriptures and mythology in the Mahabharata, has a mention about Kiratas as dwellers of the eastern Himalayas where ‘Bhima meets Kiratas to the east of Videha.’ The area of Kiratas is said to have extended from Eastern Nepal to North Eastern India. In Vasistha too, Lord Rama referred to Kiratas as ‘mountain dwellers who laid trap to catch roving deer, by digging pitch’. But RB Thohe Pou, in his article ‘The Myths of Naga Origin’ quoted JH Hutton who wrote, “All sorts of origins have been connected with the Head hunters of Malay and the races of Southern Seas on the one hand, and traced back to China, on the other hand.” In the article, the author has presented more discussions about Nagas of British period from 1832 AD, rather than attempting to discover systematic history of Naga origin as a race or tribe which matters most. The same source goes on to reveal that “The Kirata people practised shamanism, they call it Kirata religion. In animism and shamanism, they worshipped Nature and believed in primeval ancestors. They had two main festivals: one during plantation and another during the time of harvest.” These traits of cultural and religious believe system of Kiratas fully agree with that of the systems professed by present North-Eastern tribes’, except those who became Buddhists, Christians and Muslims. “Every tribe could virtually be a nation unto itself”, all the ethnic tribes of so-called ‘Nagas’ are independent to each other, and hence, they need to be identified and recognised by their respective ethnic tribe, accordingly. To this, some people may be snubbing what was wrong in identifying as ‘any Naga’. It’s only affected people who understand and carry the brunt of it, ever since Naga nationalist movement had extended its arms to these ‘Any Naga’ districts, making development a bottomless effort. Once, people of these districts in NEFA days were in peace, though not in prosperity, they have now been made to forget the concept of peace, freedom and liberty. 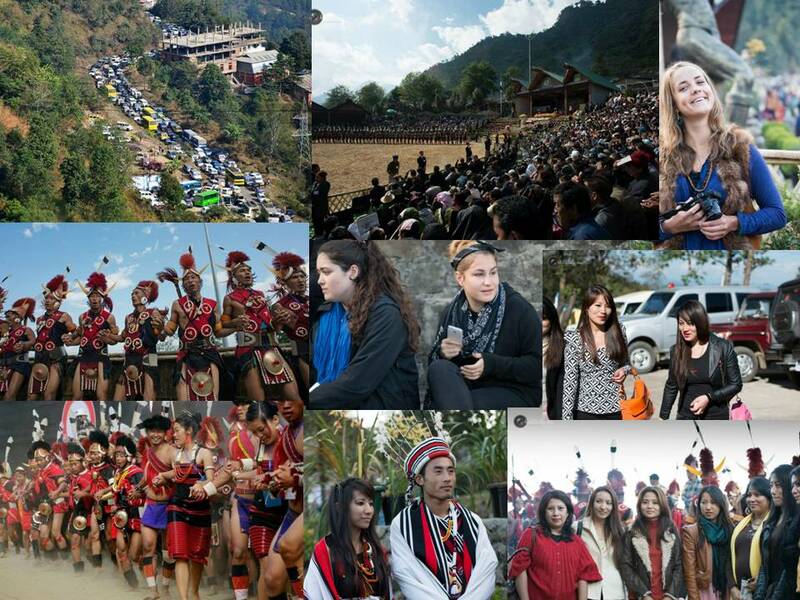 The biggest indigenous festival of the Northeast and the annual tourism promotional festival organised by the Government of Nagaland – The Hornbill Festival of Nagaland has so far witnessed over 1.60 lakh visitors, including foreign tourists, domestic and locals thronging the picturesque Naga Heritage Village, some 12 km from the state capital. According to a statistics provided by the Tourism department of Nagaland, the ongoing 10 day long festivities as on the eighth day yesterday had witnessed a total of 1,61,784 tourists which include 1347 foreign tourists, 14,237 domestic tourists and 1,311,35 local tourists witnessing the Hornbill festival, which is aptly termed the Festival of Festivals. Talking to reporters on the sidelines of the festivities at Kisama, Nagaland Chief Minister Neiphiu Rio said that there has been overwhelming response from both foreign and domestic tourists as well as the local visitors thronging the picturesque venue of biggest indigenous festival in the region. He said that this year the figures of visitors thronging the state has been over 1.60 lakh so far, and it will surely see improvements in the years to come. Nagaland and Manipur states of India in the west. The Nagas in Burma live in 229 villages in Sagaing Division and in Kachin State with a population estimated to be around 500,000. In Sagaing division, they inhabit seven Townships and Tanai Township in Kachin State. 1 Layshi Sagaing Division Tangkhul, Makury, Para, Yimchunger, and Kikhiri. 2 Khanti Sagaing Division Kengu, Chirr, Konyak, Khiumnungan, Lainung, Tangkhul etc. 5 Nanyung Sagaing Division Heimi, Pangmi, Rangpan, Cheru, and Pakang. * Over a period of time, these two tribes have now assimilated with the larger dominating Shan group. Naga lives in Nagaland State, Assam, Arunachal Pradesh, Manipur and Myanmar. There are four Naga tribes dominating in the Tirap and Changlang districts of Arunachal Pradesh known as Nocte, Wancho, Tutsa and Wancho. All the above mentioned tribes have similarities in their dialects, rituals, customs etc. The mentioned 4 tribes also have thier fellow tribesmen in now Myanmar known as Tangshang, Rangpang or Pangwa, Nocte etc..though they are said to be related to the Konyaks of Nagaland, but they prefer their own idenntity.